Lightweight and powerful active subwoofer. The EKX Series is the newest member of the Electro-Voice portable loudspeaker family. 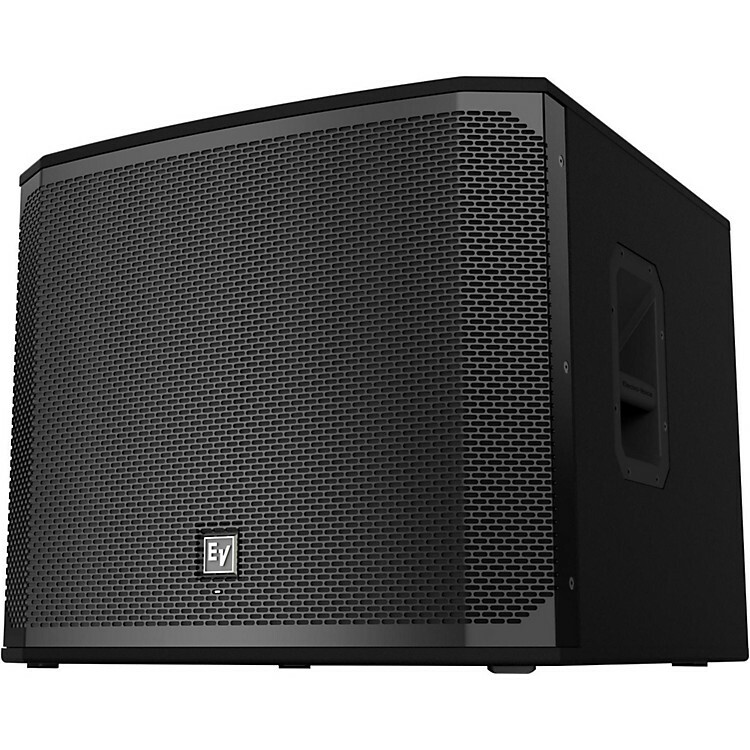 It combines legendary EV sound quality and reliability with the latest technology, all in a compact package that is suitable for a wide range of sound reinforcement scenarios, including musicians, DJs, installations and other sound applications. The EKX-18SP features an 18" LF driver in a tuned and ported enclosure along with a 1300W Class D amplifier. EV-engineered components provide precise coverage and superior sound quality at high SPLs. EV's award-winning industrial design - with robust wood enclosures and durable EVCoat finish - ensures that EKX speakers look as great as they sound. EKX-18SP delivers up to 134dB SPL utilizing high-sensitivity transducers designed and engineered by EV (18-inch EVS-18C). EKX active subwoofers are ideal for portable and installed applications, with lightweight and compact 15mm wood enclosures with internal bracing, durable EVCoat finish, aluminum pole-mounts, and all-metal handles.